Designer Jo Alcorn turns a disorganized space into a dream closet with a spot for everything. As a city dweller in a small space myself, I love the challenge of creating useful spaces in my clients’ homes. For this reason, I worked with digital influencer and radio personality Taylor Kaye. She has a ton of outfits, shoes and bags but nowhere to put them! So I turned a small room into a space where she can glam up for all her special events. The first step was to clean out the space and declutter. When cleaning out an area, I always tell my clients it’s a great time to purge unwanted clothing, purses, shoes and accessories that are not useful to them anymore. My client for this project has a soft spot for Diabetes Canada (diabetes.ca), who also operate a reusable clothing and household goods donation program. I worked with them to have her gently used clothing picked up. For the items that were of a bit more value, she posted them on Kijiji (kijiji.ca) to help make a few extra bucks. After the paring down was complete, we had the space cleaned and painted to give it a fresh new look. The base of the closet system we were going to use was white, so I chose a dramatic colour to complement the lightness – Hale Navy by Benjamin Moore (benjaminmoore.com). Professional organizing company Tailored Living (tailoredliving.com) took inventory of my client’s clothes, shoes, belts and accessories. They discussed how the space would be used and how they could maximize the floor and vertical space. In the end, they were able to provide my client with more than 25 linear feet of hanging space that is organized based on clothing style (long hanging, medium hanging and doubled-up short hanging spaces) to maximize the vertical space. They also added shelving for shoes, purses and folded clothing. 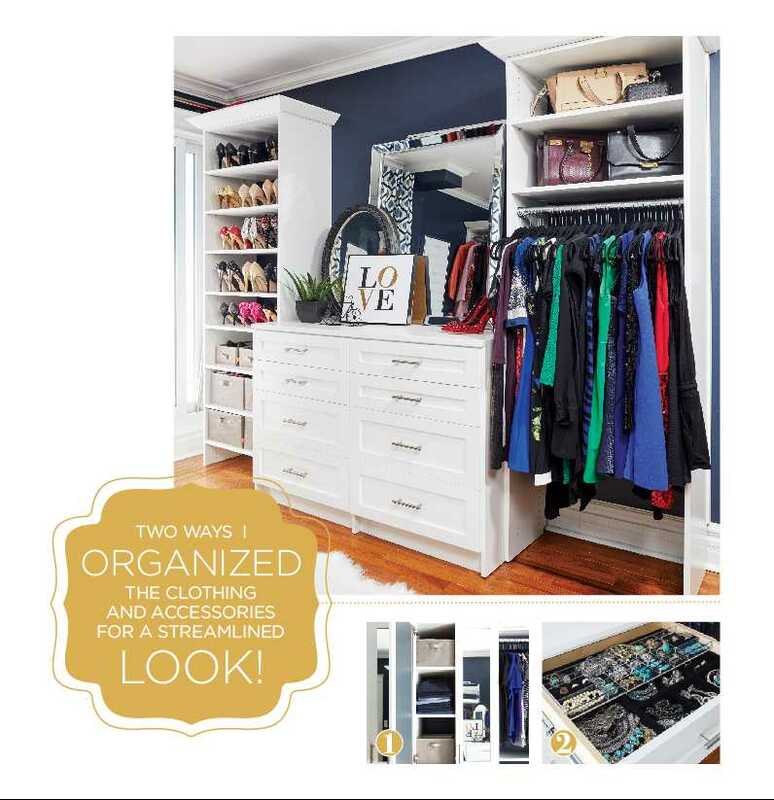 To add even more organization to the space, I chose a few key pieces from Neatfreak (neatfreak.com), which specializes in home organization. We used its Harmony Twill collection of small and large bin drawer organizers. These are great to help keep scarves, accessories and jewelery in place within the drawers. They even take care of the little details like non-slip felt hangers, so clothing stays where it’s supposed to, and garment bags for when you have to travel and want to keep your clothing clean. We also used Neatfreak’s Everfresh laundry baskets that have a probiotic natural odour control. I love it when practical items have a dual purpose. To finish off the space, I had tons of fun shopping at Bouclair Home (bouclair.com) for the little yet important details that tie the space together. I picked up a huge mirror, drapes that matched perfectly, artwork and a few other accessories that make the room all that it is, at a great price. 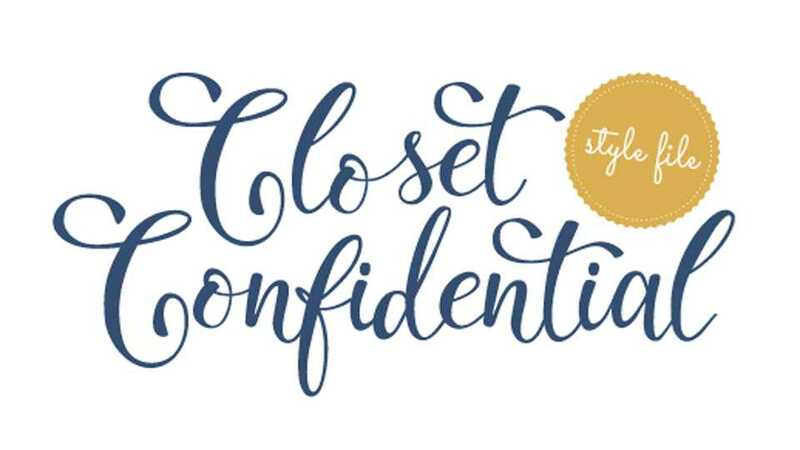 My client says she could not be more thrilled with her new organized closet space.